The Zooplankton Ecology lab is a research unit of the Department of Biological Sciences at the Virginia Institute of Marine Science. 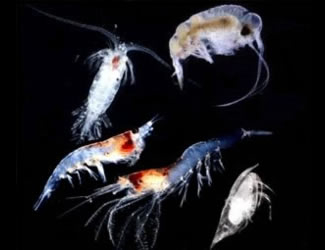 Our research interests are in zooplankton ecology and physiology, coastal and deep-sea food webs, nutrient cycling, and marine detritus or "marine snow." Much of our current focus is on how zooplankton community structure affects flux of organic material and cycling of nutrients in the sea. effects of mesoscale eddies on zooplankton community structure. We work in a number of marine environments including Antarctica, the Amazon Plume, Bermuda and the Sargasso Sea, the subtropical and North Pacific, and Chesapeake Bay.